The life of Pauline Viardot was truly extraordinary. One of the greatest prima donnas and influential musical figures of the 19th century, she was born in Paris, daughter of Spanish tenor Manuel Garcia and sister of the legendary singer Maria Malibran. The life of Pauline Viardot was truly extraordinary. One of the greatest prima donnas and influential musical figures of the 19th century, she was born in Paris, daughter of Spanish tenor Manuel Garcia and sister of the legendary singer Maria Malibran. As a teenager, already a rising star, she was unofficially adopted by Georges Sand and was the model and inspiration for her novel, Consuela. She studied composition with Anton Reicha and piano with Liszt and Chopin, transcribing Chopin’s Mazurkas for voice and often appearing with him in recital. While a prima donna at the Italian Opera in Paris, she married Louis Viardot and, besides her career as a singer, teacher and composer, and living in the USA, Mexico, Germany, England and France (where she died), she gave birth to four children. She was admired by composers including Fauré, Brahms, Meyerbeer, Gounod, Berlioz, Massenet and Schumann. Many works were dedicated to her and she composed hundreds of songs, chamber works and operettas, writing Cendrillon aged 83! 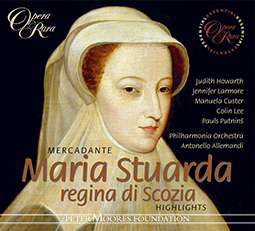 This CD, including world premiere recordings of several Viardot songs, was recorded live at London’s Wigmore Hall. 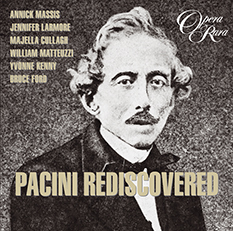 Three singers, Frederica von Stade, Anna Caterina Antonacci and Vladimir Chernov (with the distinguished French actress and film star, Fanny Ardant narrating), evoke Viardot’s world both through her own compositions and those of her illustrious friends, justly demonstrating the genius of her achievements. 34 Il Salotto, Vol. 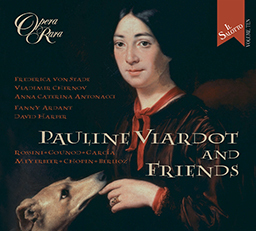 10: Pauline Viardot and Friends: Cendrillon: C’est moi! Ne craignez rien!